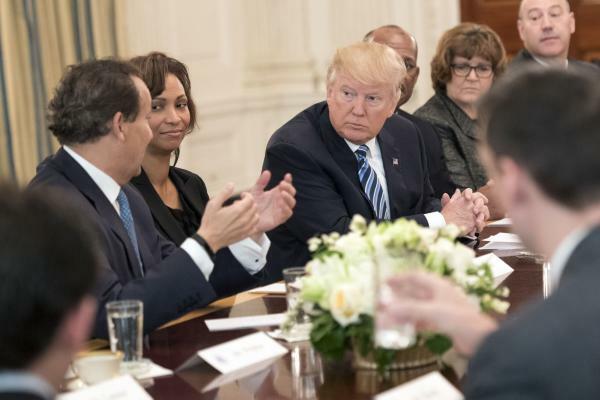 In the meeting with the CEOs of major US airlines and airports on the 9th of February 2017, US President Donald Trump stated his support of the national aviation industry which provides over 10 million jobs. The US airline industry alone employs nearly 700,000 people. The meeting officially discussed such topics as jobs and economic impact, air traffic control (ATC) modernization, regulatory reform and taxation issues. “In addition, unnecessary flight delays that are often the result of outdated, WWII-era technology and procedures cost the United States an estimated $25 billion in 2016 alone. Benefits of modernization of ATC will include enhanced safety, reduced delays, fuel savings, reduced emissions, increased capacity and greater operational efficiency”, A4A CEO said. US aviation is subject to 17 separate federal taxes paid by airlines and their customers. Currently, passengers pay 21% of a one-stop, round-trip domestic ticket in taxes. While the airports want an increase on the Passenger Facility Charge, the President stated that he does not like additional fees. At the end of the meeting, Trump underlined that he wants the traveling public to have the greatest customer service, with an absolute minimum of delays and with great convenience all at the lowest possible cost.